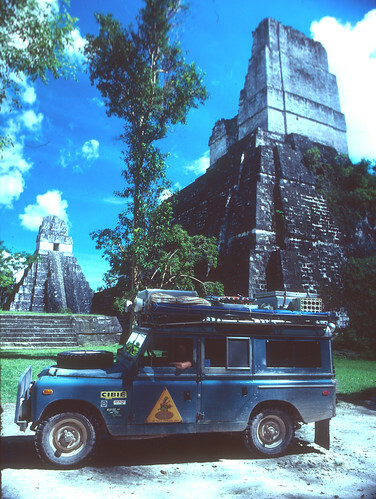 Like the temples of Tikal, La Tortuga Azul was a strong, very old design, but ultimately not very comfortable. On the other hand, we sometimes long for its simplicity. We have forgotten the old “KISS” adage, —-Keep it Simple Stupid. 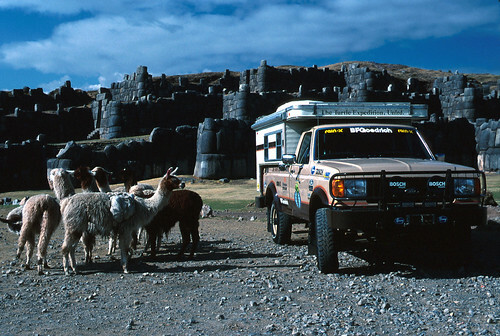 From our first travel/adventure vehicle, a 1967 109 Land Rover, to our most current, the all new Turtle V, a 1999/2000 Ford F-550 with its custom European-style Tortuga Expedition Camper, The Turtle Expedition’s backroad exploration and camping trucks have often been described as “The Ultimate”. 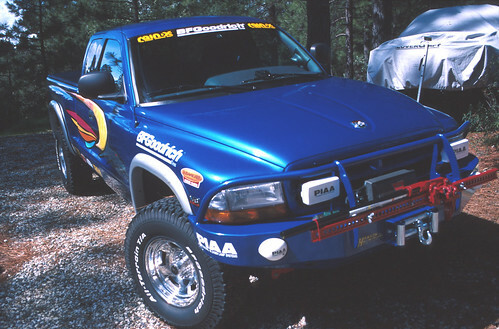 Our continuous search for ways to improve comfort, safety, performance and reliability has brought us ever closer to that goal, but “ultimate”, according to Webster, means “beyond which further analysis cannot be made”. That would be the end of the game, a game called “How far off the beaten track can you get and still be comfortable when you stop?”, and that becomes a personal call. Do you need a kitchen, or can you do all your cooking on a campfire? Do you need a toilet, or is a shovel and a bush good enough? How comfortable a bed do you want? These and many other criteria must be tempered by how long you’ll be on the road of adventure; a couple of days, or a couple of years! Starting to look like an expedition camper, The Turtle V has been on a few backroads around our Northern California homebase. Much testing is still needed to fine tune this experimental prototype. 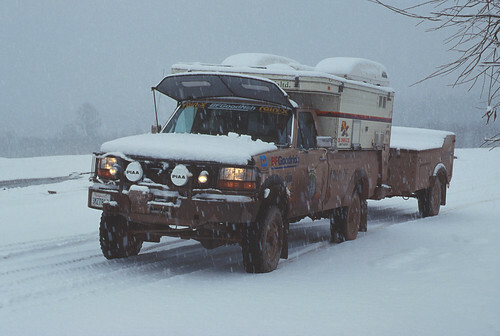 The Turtle Expedition lives a Spartan life on the road, but The Turtle V will certainly be much more comfortable, safer, and reliable than our old Land Rover, not to mention all aspects of performance. It has been interesting to see the transformation of our ideas over the years. 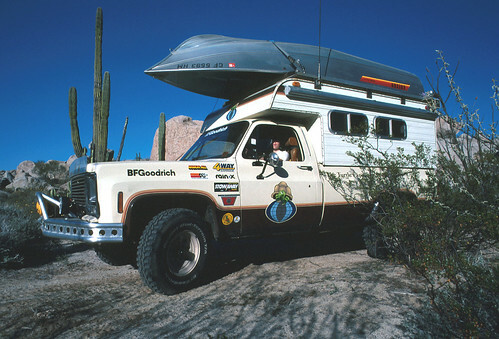 Part sports car, part work truck, part four wheeler, part runaround, and equipped with a fully self-contained slide-in Four Wheel pop-up camper, The Weekend Warrior is a true multi-purpose vehicle. You may find some from both the Land Rover and The Turtle V that work for you. Our Official Product Suppliers and Sponsors represent the highest quality in the industry, all well tested and proven over many hard miles of adventure. We have never settled for less than the best, and in the places we go, often the best is barely good enough. 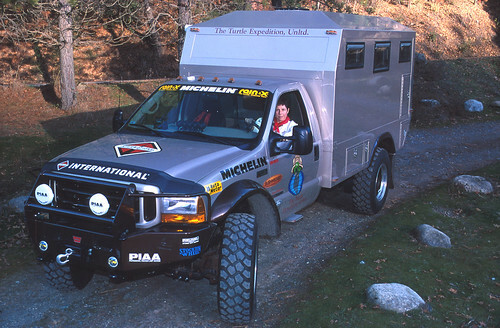 Good luck with your “Ultimate” travel vehicle!